Rising young Armidale trainer Stirling Osland is invariably hard to beat on home turf and the trend is likely to continue at Monday’s TAB meeting with his impressive last start staying winner Exilia Miss, along with other prospects. The four-year-old Nadeem mare is the “weighted” galloper in the $20,000 Guyra Cup Day Sunday 15th April BM 70 (1900m), one of four runners for Osland throughout the seven-race Armidale program. Exilia Miss was allocated 59kg, reduced by a three-kilo claim when she powered from near last to win over 2005m at Coffs Harbour three weeks ago to win her fourth race, and she drops to 54kg for stable rider Ben Looker on Monday. With four wins, Exilia Miss is the performed stable runner for Stirling who has maiden fillies Bridgetta Rose and Ride On Time engaged in the opening event, and maiden winner First Family contesting race five. In an open betting market, Exilia Miss will share favouritism with Jenny Graham’s stablemates Backhouse Billy, Art Attack, topweight Carry on Jake and Bob’s a Dazzler. In the recent $41,000 Armidale Cup, Backhouse Billy finished third to the winner Kasharn, while Carry on Jake and Bob’s a Dazzler were a close fourth and fifth respectively. Exilia Miss beat Art Attack by almost three lengths at Coffs, coming from near last. In the opening event, the McDonald’s Armidale Maiden (1100m), Stirling is represented by Engelbrecht discard Brigetta Rose and Markwell cast-off, Ride On Time. “In their first preps for us, Brigetta Rose led and was just pipped last start at home, and she’ll be improved. She’ll run a race again on-pace and will make her own luck. 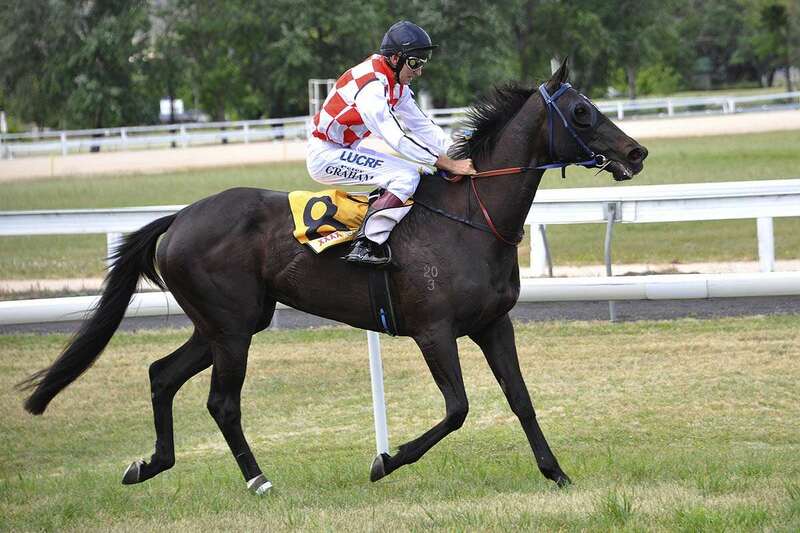 Armidale will race on a good 3 rating with fine weather predicted.